Desh Bhagat University, best university in Punjab (2nd Rank - NIRF Ranking, MHRD Govt. 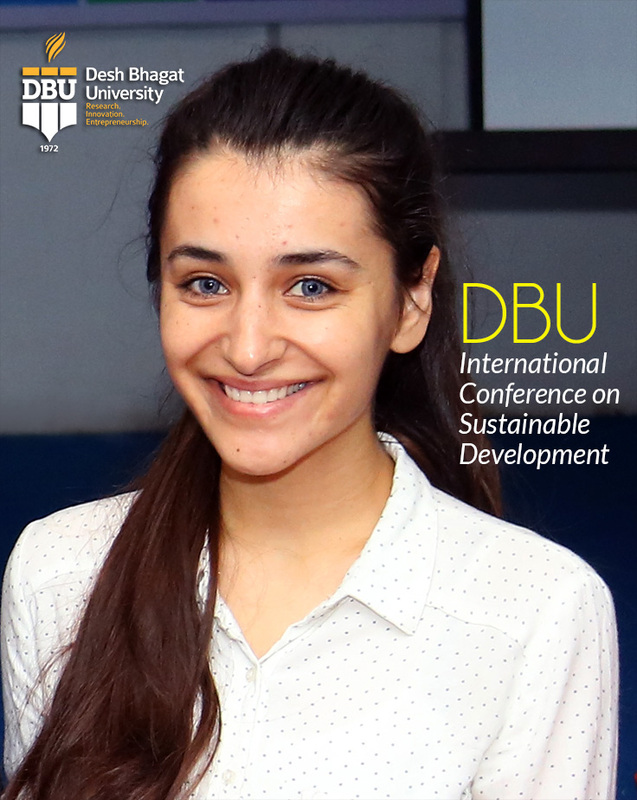 of India) organized an International Conference on ‘Sustainable Development: Challenges and Prospects. 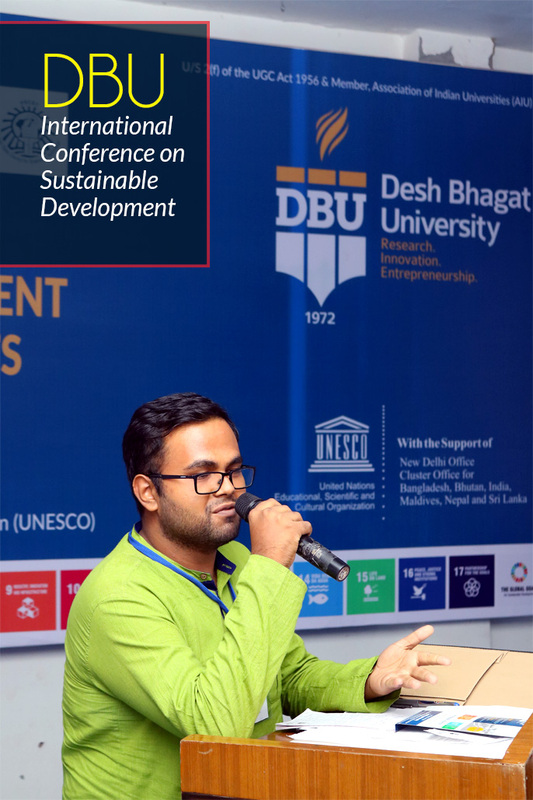 The two days long conference was organized in association with UNESCO (United Nations Educational, Scientific and Cultural Organization), New Delhi. Other sponsors and partners of the event were National Biodiversity Authority, NSERB, DST- Government of India, Punjab Energy Development Authority (PEDA), Indian National Science Academy, Punjab State Council for Science and Technology and Punjab and Sind Bank.University Chancellor Dr. Zora Singh participated in the Sessions and presided over the Valedictory session. Vice Chancellor Dr. Virinder Singh welcomed all the participants. Setting the tone of the Conference, Dr. Neelima Jerath, Pro-VC informed that the UN General assembly had adopted 17 Sustainable Development Goals with 169 targets. The goals had already come into effect and countries needed to initiate action to achieve the targets. For this it was important to involve the masses through scientific discussions, R&D and awareness building. 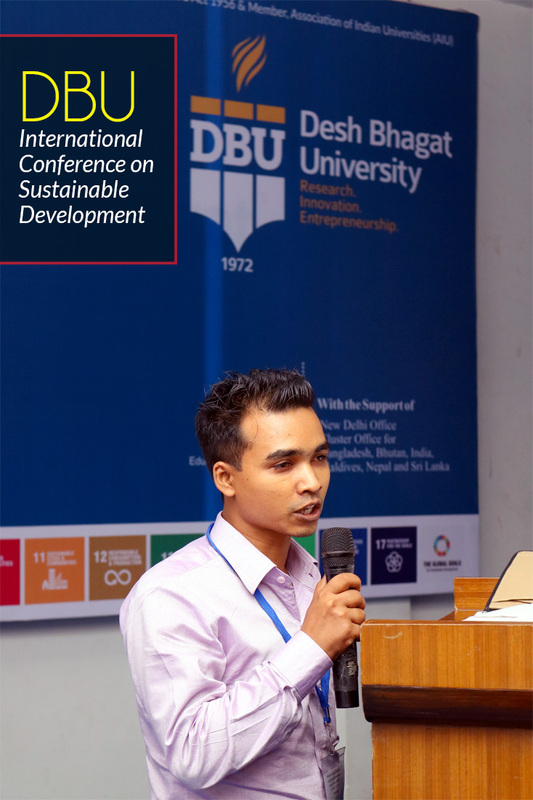 Speaking at the occasion, Dr. Ram Boojh (Program Specialist, UNESCO), while introducing Sustainable Development Goals, said that the Agenda is first and foremost about shifting the world on to a sustainable and resilient developmental path. UNESCO was supporting countries in making this trans-formative change through its work to ensure that all learners have the skills and knowledge they need to become responsible, green, global citizens; to advance science, technology and innovation for the development of sustainable solutions to mitigate problems and adapt to climate change and other global challenges. 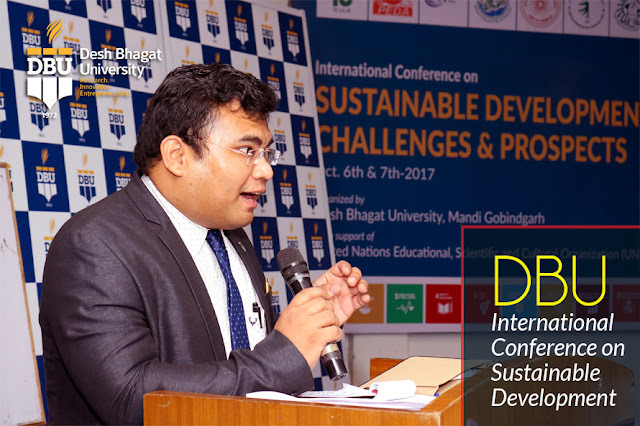 He hailed that the Desh Bhagat University, best private university in chandigarh, Punjab was perhaps the first University in the country which has initiated a program on SDGs in the academic sector. 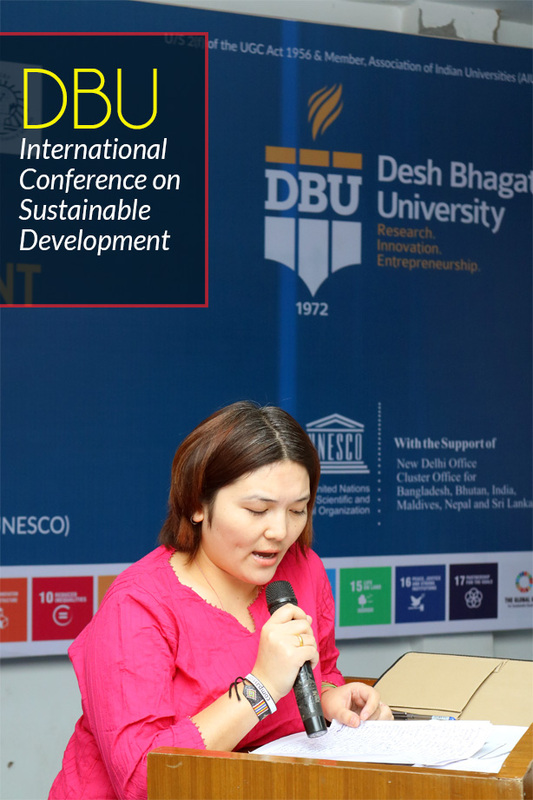 Participants from USA, Tibet, Nepal, Kazakhstan, Zambia, Myanmar, Bangladesh, Mongolia, Sri Lanka and Afghanistan shared information on Sustainable Development initiatives in their countries. Dr. Leonard Sonnenschein shared his views on the topic New Technologies for Providing Enough through Sustainable Agriculture via SKYPE. Dr. Ram P. Chaudhary, RCAS from Nepal and some other participants also joined the conference via SKYPE and read their research papers. 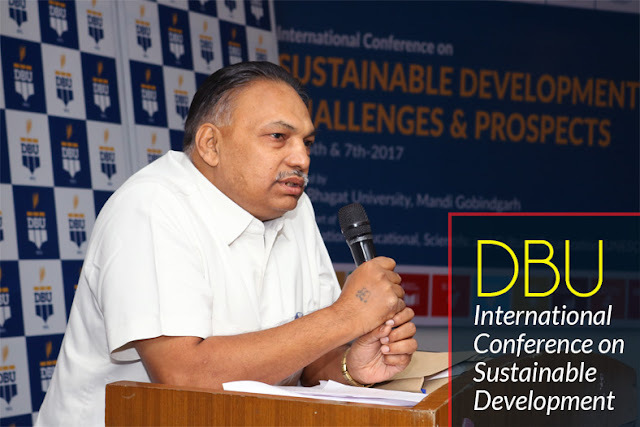 Dr. P. S. Roy, former ISRO and presently NASI Senior Scientist Platinum Jubilee Fellow, Centre for Earth & Space Sciences, University of Hyderabad discussed about the Challenges for Indian Agriculture in changing climate and socio economic environment. 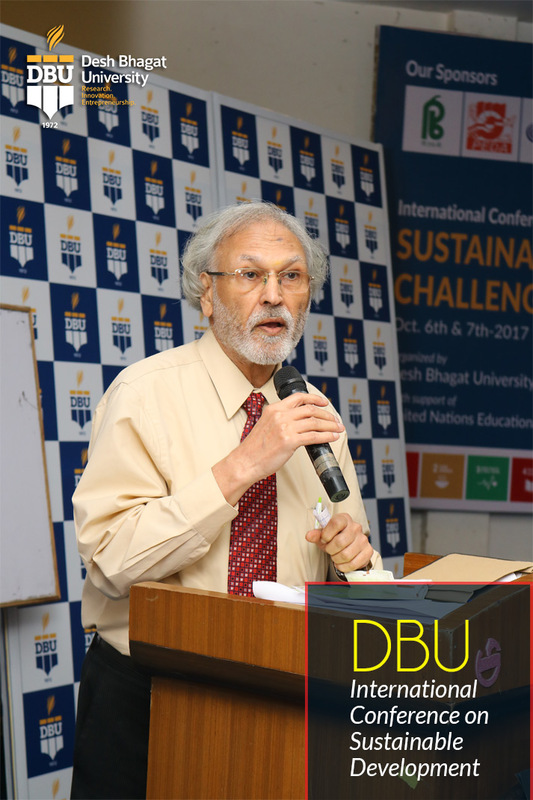 Dr M S Kang, Former VC, PAU, spoke on sustainability in Agriculture and Dr. Surendra Kumar, Advisor, MoEFCC, Govt. of India spoke on sustainable mining. Dr. K K Singh and Dr. Jayant Patra, Chairman and President, International Youth Committee spoke on involvement of youth for ensuring intergenerational sustainability. The keynote speakers and session Chairs were Dr. C.B. Gupta, BITS-Pilani, Dr. Kailash Lachhwani, NITTTR, Dr M. Kumay, IYC etc. Researchers from Punjab University, Punjabi University, PGI, BHU, Varanasi, Delhi University, Shoolini University, Botanical survey of India, PSCST, PGSC, Punjab Remote Sensing Centre, etc and various colleges presented their research papers. About 70 research papers were presented during the two days whereas about 85 papers were included in the Abstracts, including from S. Korea, Palestine, etc. 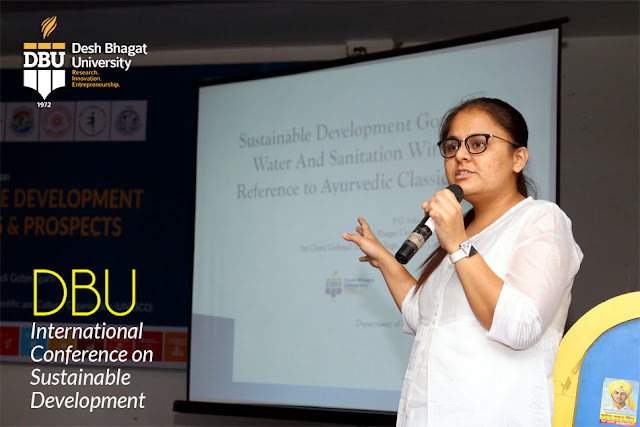 The event provided a platform for research scholars, faculty, engineers, scientists, policy makers, economists and other stakeholders to share their views related to challenges and prospect of sustainable development in various fields. 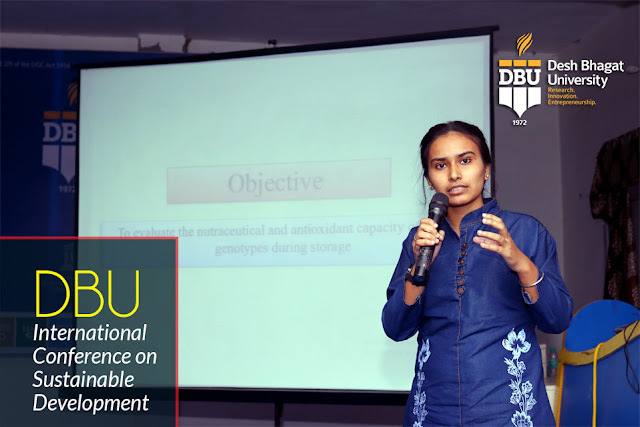 During the different sessions the scholars presented their research papers on higher education, environment, natural resources, tourism, biodiversity, food productivity, sociology-cultural issues, international partnerships, etc. 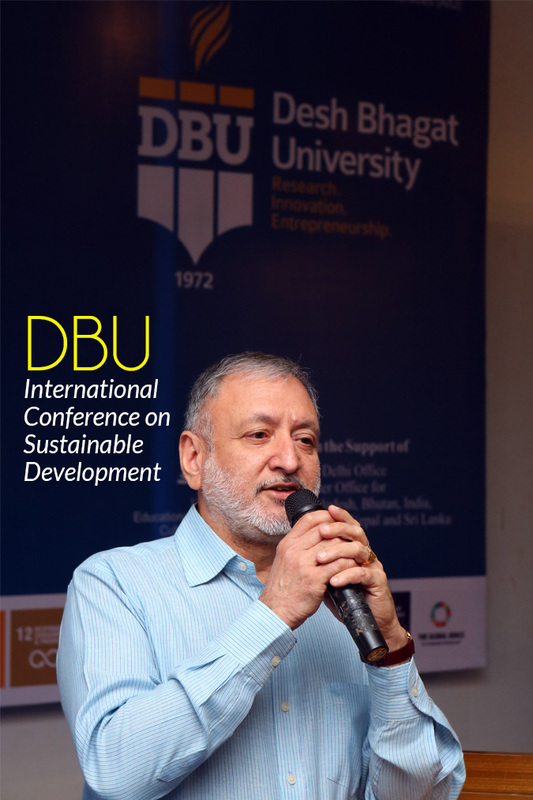 During the conference, Vice-Chancellor Dr. Virinder Singh expressed pleasure at the overwhelming response to the event and hoped that it will prove useful for the students, faculty members and policymakers. Director Dr. Surjeet Patheja, Dr. H. K. Sidhu, Dr Payal Bassi, HoDs and faculty members were also present at the occasion.